Hooper – On February 7, 2019, Lorell Alison Hobbs Widdison was reunited with her sweetheart, Howard J. Widdison. She slipped through the veil after 104 years of service and love. 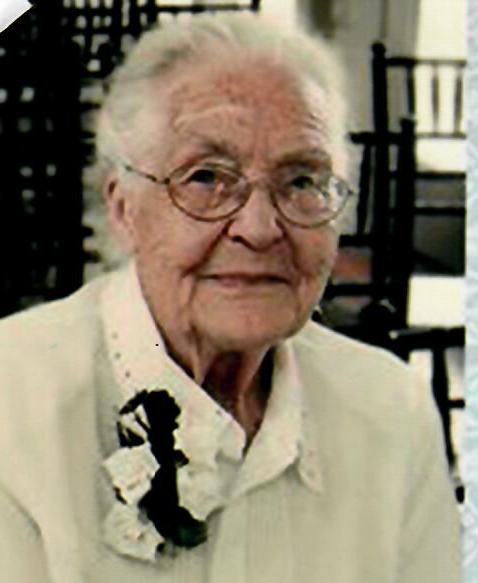 She was born March 12, 1914 in Ogden, Utah, the daughter of Charles James and Teresa Malan Hobbs. She was the oldest in a family of six. Lorell’s early years were spent in Ogden, Utah roaming the empty hills where WSU is now located. There she learned the values of faith, work and love. 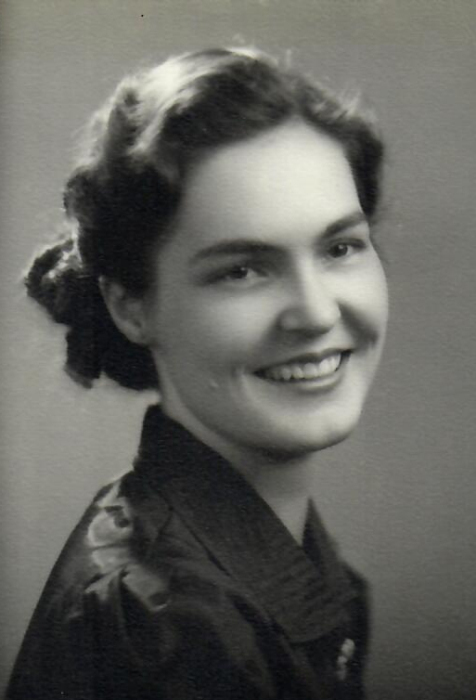 She graduated from Ogden High School and expanded her horizons starting work as a seamstress at Utah Knitting Mills. Her leadership developed as she reached out as the Stake Gleaner leader. Her love of music expanded as she sang in multi-stake choirs where she met Howard. Many duets have been sung by them and until recently she has sung in the Ward choir. As a devoted member of The Church of Jesus Christ of Latter-day Saints, she served in all organizations, her favorite sharing love with children. Many remember her as their Primary teacher. Lorell and Howard met singing and she married Howard J. Widdison in the Salt Lake Temple on September 16, 1938. Their lives together centered on the teachings of Jesus Christ. She loved the Lord and always tried to be obedient to His teaching. Her greatest joy was sharing love with family and others. When with her you knew you were loved. She always thought of others first. The music of their lives continued with their posterity starting with their seven children: James Widdison (MaryAnn) , Castle Valley, UT; Ann Christopherson (Dale, deceased), Dale Widdison (Jan), Garth Widdison (Joan), Hooper, UT; Dan Widdison (Karen), Clinton; Lorraine (Kent,deceased) Widdison, Hooper; Connie Harris (Pat, deceased), Hooper; 40 grandchildren, 114 great-grandchildren, 63 great-great-grandchildren and ten more scheduled to join. She is also survived by her baby brother, Ray (94), her loving family and many thousands of friends and acquaintances. She was preceded in death by her parents, husband, son, Kent, two sons-in-law, one grandson, and two great-grandsons. Funeral services will be held at 11 a.m. on Monday, February 11, 2029 at the Shanandoah Ward, 5375 South 5900 West, Hooper. The family will meet with friends Sunday, February 10th from 6 to 8 p.m. at Lindquist’s Roy Mortuary, 3333 West 5600 South and Monday from 9:30 to 10:30 a.m. at the church.